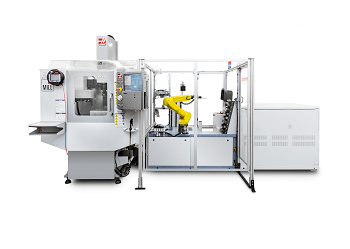 Both easy to install and compact, the Thermo Scientific ARL SMS-2500 system implements the latest automation technologies in order to exceed modern steelworks laboratories’ expectations. The ISO 9001-2000 procedures govern the manner in which the ARL SMS-2500 system is manufactured and maintained. 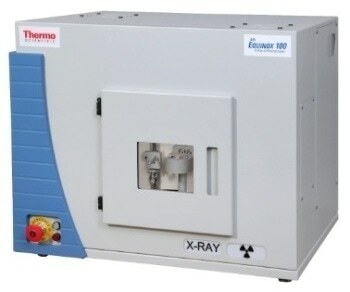 The Thor automation platform is common to every Thermo Scientific SMS product, including the ARL SMS-3500 system for twin OES and XRF spectrometer automation. 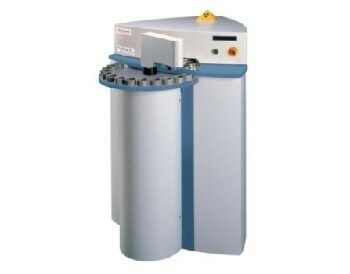 It is also the basis of the ARL SMS-2500 system, which is a single spectrometer automation solution. A FANUC robot is included in the ARL SMS-2500 system. 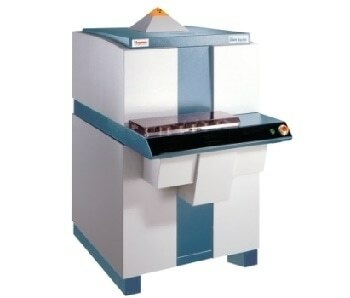 This uses an industrial robot standing on a chassis which is linked to the ARL Metals Analyzer. This robot has a 902 nm long arm which has six moving axes and a gripper. 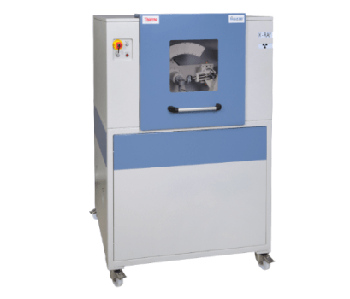 This can move metallic standards and samples weighing as much as 3 kg with outstanding precision, offering a measured repeatability of ± 0.03 mm. The ARL SMS—2500 system robot has the advantages of internal cabling, brushless AC-Servo motors, and excellent precision, meaning that very little maintenance is required. The entire system does not require much floor space in order to operate, and fast operation without compromising accessibility for maintenance and service is guaranteed by the short distances between the many different components. 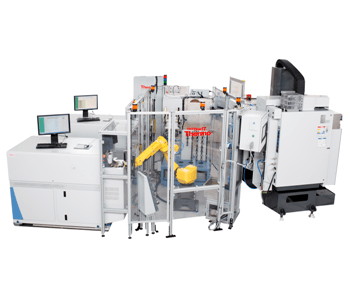 In order to save time, the ARL SMS-2500 system robot is able to directly access the sample preparation machine. 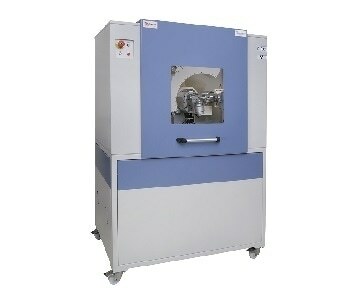 The preparation machine is accessed by the SMS robot by a separate side door, in order to deliver direct sample pick-up and placement. For semi-automatic operation or maintenance, the front door can be used to access the machine, which avoids the need to switch off the robotic system. Increased performance – Sample turnaround times are reduced by new sample processing capabilities and a tighter integration of sample preparation. Steel sector opportunities – For the steel industry, precise analytical quality control can be performed by the system. Increased efficiency – A predictable, sustainable, and fast rate of preparing and analyzing samples is offered, without the operator’s intervention. Costs of operation and analysis are consistently reduced. 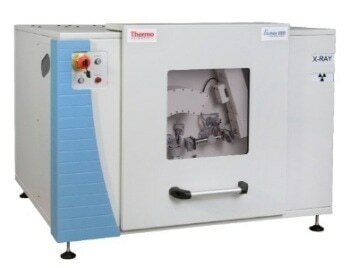 It is possible to relieve qualified laboratory personnel from routine duties. Higher quality of analysis and repeatability – Downtime, human variables, mistakes, and other subjective factors which can influence analysis results are eliminated. A vital part of the automatic system is spectrometer monitoring and control, which is systematically applied. The most complex analysis procedures are supported by the system, which applies them without the operator needing to intervene. Manufacturing costs are reduced by smoother production flows and extremely efficient quality control tools. The system monitors the critical phases of production more effectively, thus allowing commitments to be given for compliance with increasingly stringent product specifications.